The Rolling Stones have teamed up with Crystal Head Vodka to mark the band’s 50th anniversary. The pair have created an exclusive, limited edition Rolling Stones 50th Anniversary Gift Set. 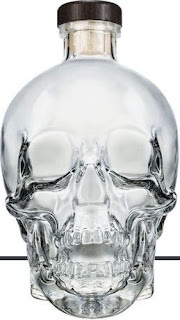 Crystal Head is a double gold award-winning Canadian vodka, completely free of any additives. This naturally pure vodka had to be born of an equally pristine primary ingredient - which is why the deep glacial aquifer water of Newfoundland is used. Crystal Head Vodka is quadruple distilled and filtered seven times. Three of the filtrations are through semi-precious crystals known as Herkimer diamonds. Crystal Head was inspired by the legend of the 13 crystal heads. The heads are thought to offer spiritual power and enlightenment to those who possess them, and as such stand not as a symbol of death, but of life. This week, the Stones announced dates for their spring North American tour – for details, click here.